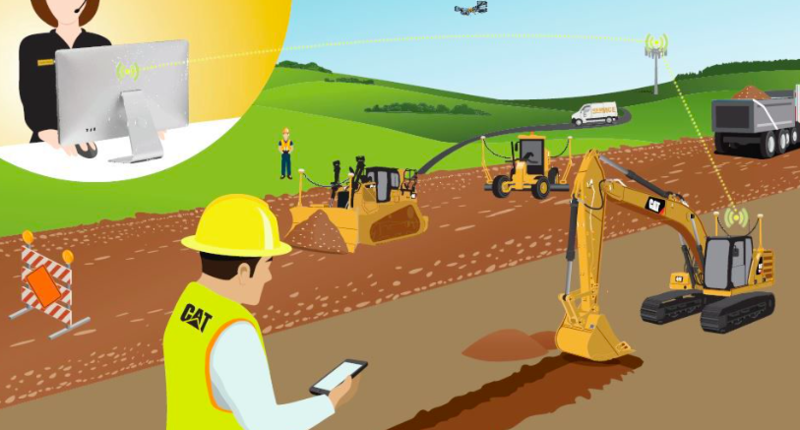 Caterpillar has introduced a new suite of Cat Connect technology that offers remote equipment diagnostics and software updates to reduce machine and engine downtime and increase jobsite efficiency. These include two key offerings – Remote Troubleshoot and Remote Flash – that leverage telematics data to allow Cat dealers to remotely keep customers’ equipment operating at maximum production and efficiency. The new Remote Troubleshoot analyses real-time asset data, so the dealer can run diagnostics testing on the connected product and pinpoint potential issues. This saves the dealer technician travel time to the jobsite and eliminates equipment downtime during diagnosis. The machine continues to do its job throughout the process, so jobsite productivity doesn’t suffer. Remote Flash ensures Cat equipment operates with the most current version of on-board software, so the products deliver high performance, maximum efficiency and minimum downtime. This new service enables remote updates to the software of a connected machine or engine, at a time convenient to the operation, without the need for a service technician to visit the jobsite. With Remote Flash, Cat customers receive notification from their Cat dealer, or in some instances, directly from Caterpillar, when a new software update is available for a piece of equipment. Machines or engines can then be updated at the jobsite without waiting for a dealer technician to arrive and install the update. This ensures the benefits of the software updates are realised as soon as it’s convenient for the customer. Once a customer receives the flash-file push notification for a targeted product, the authorised user simply confirms the machine or engine is ready to begin the flash, initiates the process and confirms the post-flash performance.